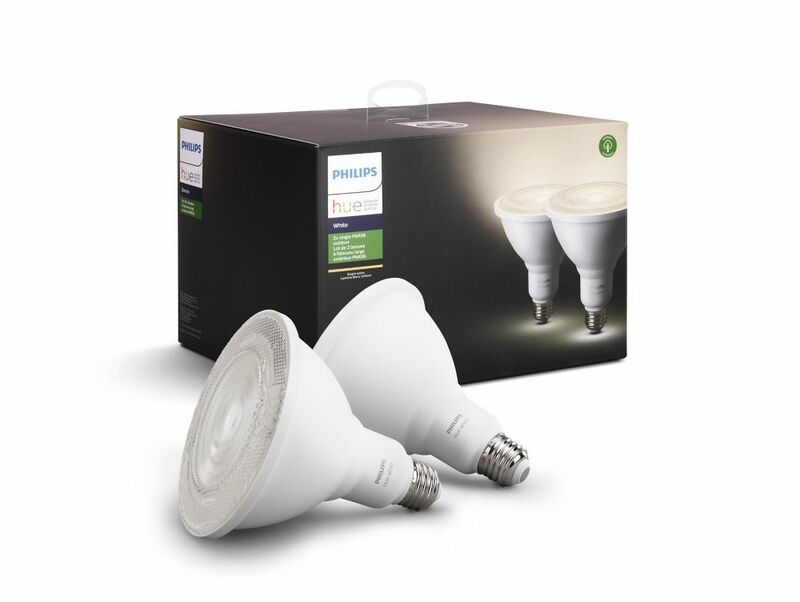 Philips LED 60W equivalent Postlight F15 bulb with dimmable warm glow light (2700K - 2200K). As light is dimmed, the colour temperature transitions from 2700K to 2200K creating a warm glow replicating incandescent lighting. Fully dimmable and with a small base. This bulb replaces your current 60W incandescent fan bulb. Energy savings and long life. Soft white light. Dimmable. Instant-on light. Mercury and RoHS compliant construction.Will not fade fabrics or furnishings. Ideal for outdoor postlights, decorative fans, chandeliers, wall sconces and decorative fixtures. Medium base (E26). Philips LED Indoor Flood. Energy savings and long life. Dimmable soft white diffused light. Instant-on light. Mercury and RoHS compliant construction. Similar size and shape as regular bulb. Will not fade fabrics or furnishings. Ideal for both accenting and general room lighting. ENERGY STAR certified. Hue White PAR38 Outdoor 2 Pack - ENERGY STAR® Light up your driveway, front yard or back yard with a bright 1200 lumen PAR38 (100W replacement) as you arrive home.